A view of the crowds coming into Angkor Wat via the main walkway. 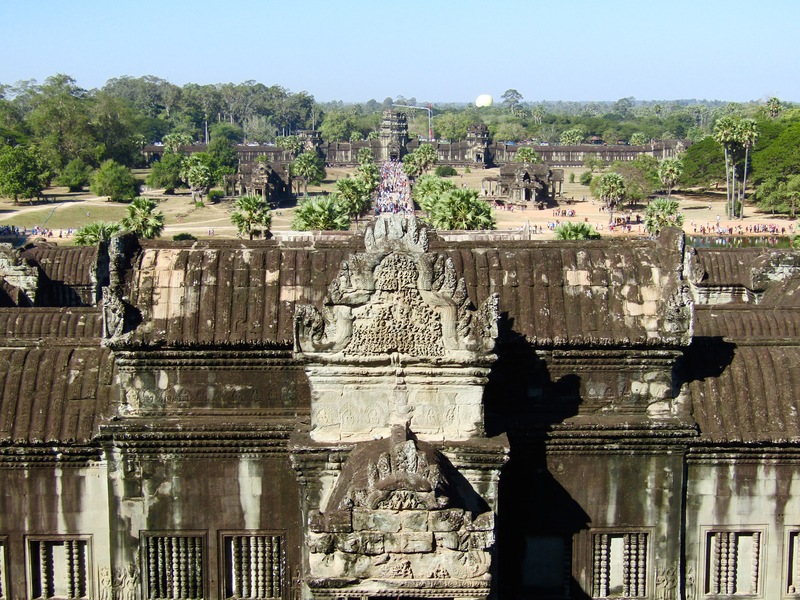 While most Khmer temples face east, Angkor Wat is oriented to the west. A popular theory is that it was meant to serve a funerary function, although the real reason is widely disputed by archeologists.